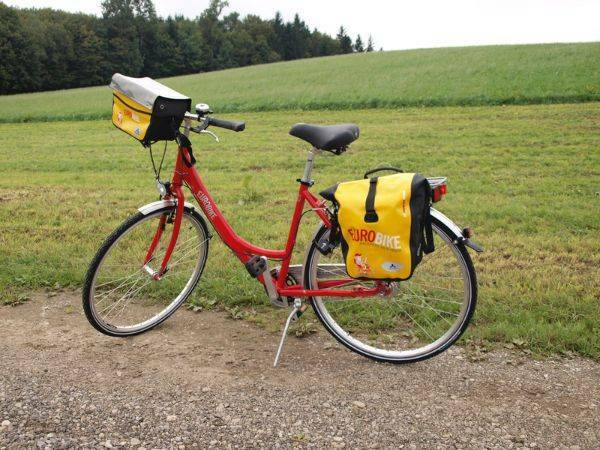 Ride a section of a brand new European cycling path on this self-guided short break holiday. Cycle along the crystal clear water of the Isar River to the impressive Lake Kochlesee and follow beautiful trails through typical Bavarian towns. Admire the majestic mountain ranges, stroll through colourful old towns and ride through the Murnau Moos,the largest marsh land area in Central Europe. This is a relaxed cycling holiday and makes for the perfect introduction to this fascinating region. Welcome briefing and bike fitting. The capital city of Bavaria is awaiting you and invites you to visit its many attractions (English Garden, Town Hall, Hofbräuhaus,…). Overall, this is a rather easy tour. There are a few short climbs, but they can be conquered easily by pushing the bike. You will cycle on beautiful bike ways and minor roads. Main roads will only be used for short distances. The route is mostly paved; some longer passages are on natural roads which are in good condition. 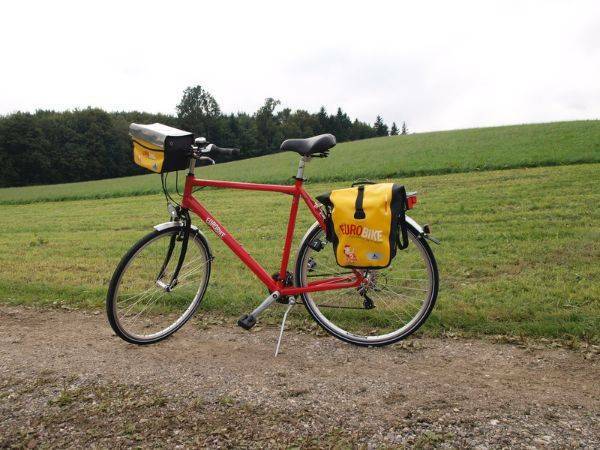 Lake Starnberg – Murnau 35 km The course is undulating, longer climb from 12.2 KM. From Aidling the route can be extended by 15 km. 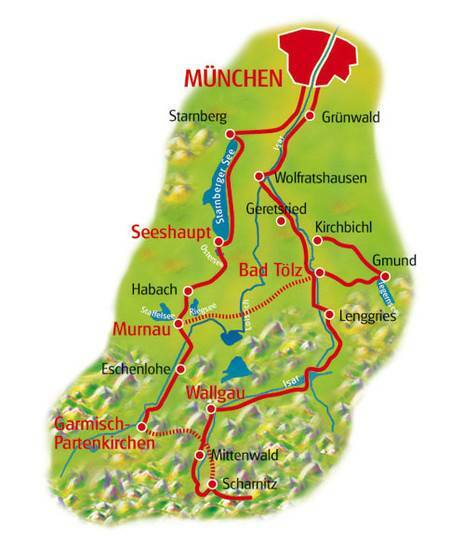 We recommend flying to Munich airport to reach the starting point of this cycling holiday. station). It is about 100m from Heimeranplatz station to the hotel. The Franz-Josef Strauss airport is about 35km from the hotel a taxi ride takes about 45 minutes. 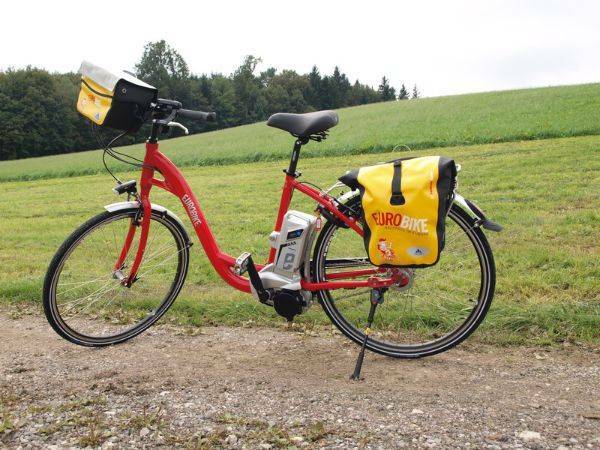 The Munich Lakes Short Break cycling holiday includes the daily transfer of luggage to the next hotel and local support if required.